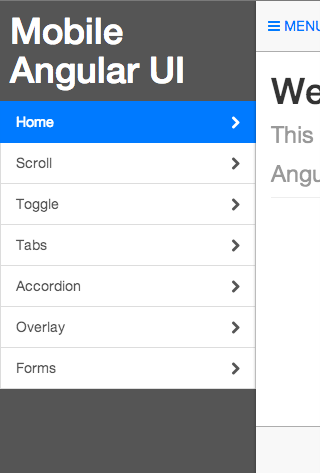 What is an Angular 2 Compatiable Mobile UI Theme? Well, it’s simply a user interface which has been designed into a series of ui components making it easy for bootstrapping into your Angular App. Frameworks such as Mobile Angular UI allow you to build beautiful HTML5 hybrid mobile apps without worrying if the hamburger is the right size. Supersize it. 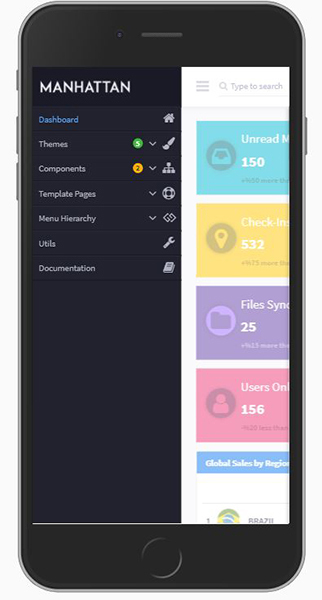 Using an already developed angular mobile theme instead of developing your own will allow you to take advantage of the searchability, shareability, and no-install-required-ability of the Web frameworks without compromise. Don’t break your head and build HTML5 mobile app from scratch, get inspired by wonderful apps created for you save time and check out the themes below! Mobile Angular UI is a mobile UI framework just like Sencha Touch or jQuery Mobile. If you know Angular JS and Twitter Bootstrap you already know it. Mobile Angular UI lets you create HTML5 hybrid mobile apps and desktop apps with twitter Bootstrap and Angular JS. Angular Material is currently in beta and under active development. 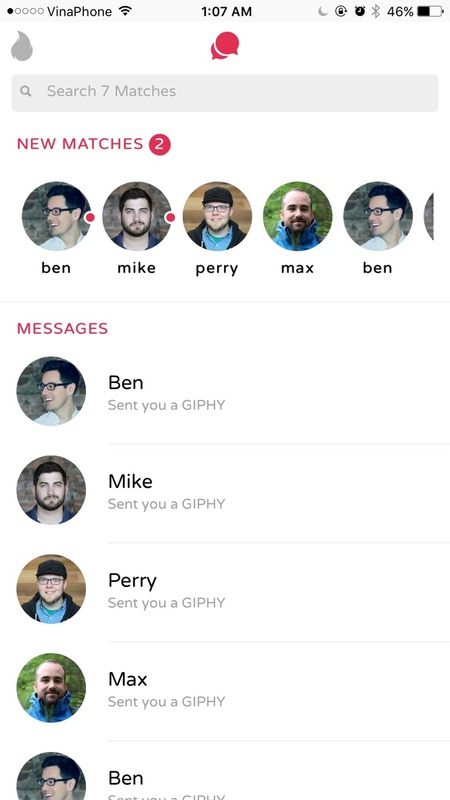 During beta, new features will be added regularly and APIs will evolve based on user feedback. Angular Material supports the most recent two versions of all major browsers: Chrome (including Android), Firefox, Safari (including iOS), and IE11 / Edge. CoreUI – UI Admin Kit is not just another Admin Template. 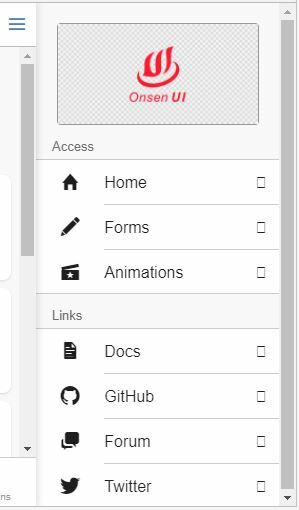 It goes way beyond hitherto admin templates thanks to transparent code and file structure. And if it’s not enough, let’s just add the CoreUI consists bunch of unique features and over 1000 high quality icons. CoreUI based on Bootstrap 4 and offers 5 versions: HTML5, AJAX, AngularJS, Angular4 and React. CoreUI Layout API lets you customize your project for almost any device – be it Mobile, Web or WebApp – CoreUI covers them all. Kendo UI for Angular is the latest addition to the Kendo UI family of commercial products. The Kendo UI for Angular is production-ready and comes complete with the same level of professional support and scheduled updates that you’ve come to expect from the Kendo UI team. It is free for new customers as part of the Kendo UI Professional, Kendo UI Complete and DevCraft product bundles. 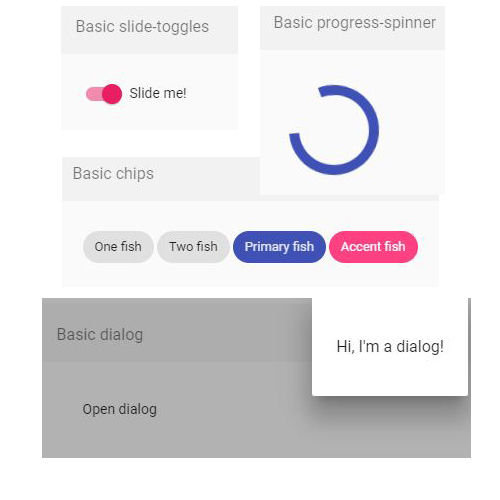 PrimeNG is a collection of rich UI components for Angular. All widgets are open source and free to use under MIT License. PrimeNG is developed by PrimeTek Informatics, a vendor with years of expertise in developing open source UI solutions. Semantic is a development framework that helps create beautiful, responsive layouts using human-friendly HTML. Semantic is designed completely with em making responsive sizing a breeze. Design variations built into elements allow you to make the choice how content adjusts for tablet and mobile. Semantic has integrations with React, Angular, Meteor, Ember and many other frameworks to help organize your UI layer alongside your application logic. All screens are responsive over ion-split-pane component. Also we included ion-grid in all components which is heavily influenced by Bootstrap’s grid system. Three new layouts with Google maps API component ( Location details, About Us and Full screen view ). Full functional scanner for QR codes and Barcodes. One layout added for results of scanning.